Pulled over for DUI: Here's what to do - step by step. Pulled over for DUI? : Here’s what to do – step by step. Many people have misconceptions about what to do when you get pulled over for DUI. However, by following these steps, you can protect yourself and your rights. It is important to seek the advice of an experienced Columbus DUI lawyer. STEP 1 – Pull over in a calm, normal manner. Use your turn signal, pull over immediately, and come to a complete stop. It is extremely important to remember that when you’re pulled over for DUI everything about the stop (including your driving just before the stop) is being recorded. STEP 2 – Be polite at all times. When you’re pulled over for DUI, the conversation between you and the police officer is also being (audio and video) recorded. Do not give anyone that might watch the video later any reason to believe you were being rude, unreasonable, or drunk. Always address the officer as “sir or ma’am” and do not, at any point, become combative with the officer. STEP 3 – Do not admit to drinking. After being pulled over for DUI, you must provide the police officer with your name, driver’s license, registration, and car insurance details, however, you do not have to answer any incriminating questions they ask you. For example, “how much have you had to drink tonight?” You do NOT have to answer this question. In fact, it is in your best interest to remain silent and avoid saying anything. Again, the conversation is being recorded, so any admission that you were drinking can and will be used against you in court. NOTE: the biggest problem with admitting to drinking is how non-specific it is. The officer will ask you to admit to how much you’ve had to drink, but will not ask follow-up questions like: “what kind of alcohol, what size drinks, when did you consume them, did you eat anything?” It is legal to drink and then drive in Ohio. It is not legal to drink and then drive impaired. So, if you do admit to drinking, make sure to explain what kind of alcohol you had to drink, when you drank it, over what course of time you drank it, and whether you had anything to eat with it. 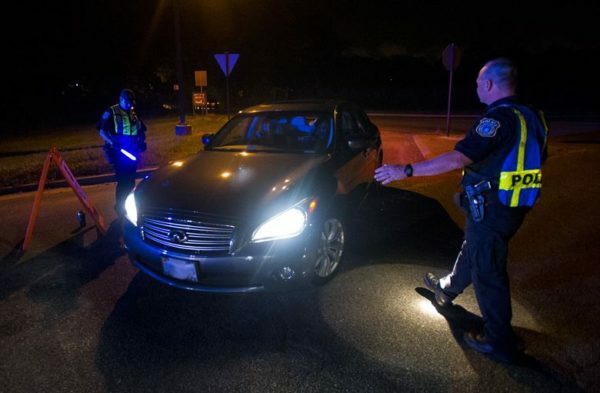 STEP 4 – Do not submit to any field sobriety tests. NOTE: never perform field sobriety tests, because they are very difficult and very specific balancing tests. If you have poor balance, you will definitely fail these tests (regardless of how much alcohol you have had to drink). Even if you have great balance, you will still fail these tests, because of how difficult / specific they are. STEP 5 – Do not submit to taking a chemical test (breath, blood, or urine). When pulled over for DUI, politely decline when the officer asks you to take a breath, blood, or urine test, if you have been drinking. Why? For many reasons: 1. Breath tests produce unreliable results all the time for many different reasons (see here). 2. The officer is going to arrest you for DUI / OVI regardless of if you take these tests. 3. You will not reduce your chances of “being let go” if you submit to these tests (even if you blow under than the legal limit). You will still be charged with DUI / OVI regardless. After you refuse to take the chemical test, you will be subjected to a 1 year administrative license suspension (ALS) for refusing to take the test, BUT, you will have to serve a 1 year court-ordered suspension, anyways, if you are ultimately convicted of OVI. So there is little to no incentive to submit to a chemical test. It should be noted, if you do submit to taking a breath, blood, or urine test and the results prove unfavorable, it does not mean you are guilty of DUI / OVI. There are still many defenses that can be raised. STEP 6 – Do not make any statement after being arrested, especially when placed in the police cruiser. Many police cruisers have microphones / cameras in the front and back seat of the cruiser, therefore, everything you say in the cruiser is being (audio and video) recorded. Remember, you have the right to call your attorney at any point in the above interaction. If you or someone you know was pulled over for DUI, call Attorney Dimitri Makridis, a top Columbus DUI Lawyer. He is committed to defending men and women facing Ohio OVI / DUI charges and achieving outstanding results for his clients. Schedule your free consultation today by calling (614) 349-4490. Copyright © 2018 Makridis Law Firm, LLC, all rights reserved.